Livermore Trail, Tripyramid Trail. 11 miles, 3000 feet elevation gain. The girls and I had been trying to do this hike for weeks; every time a Friday rolled around, the forecast called for thunderstorms. This is not the kind of hike one should attempt in wet or dangerous weather, so we had to wait for a bluebird day. That day turned out to be June 21. Samantha and her friend Nate came with us on this one. We were happy to have their company. Livermore Trail is relatively flat and easy-going. Our day's first few miles went by quickly. Up, up we go! Yes, the hike really is this steep -- hands are often needed. Rest break near the top of that vertical section...we couldn't sit still for too long, unfortunately...the black flies were out in force. ...and quickly reaches the wooded summit of North Tripyramid. There's only a few tenths of trail between each of the Tripyramid summits. We were at the viewpoint of Middle in no time. The humble summit of South Tripyramid. The top of the South Slide is about a tenth of a mile or so down from the summit. Our time for this hike was 7 hours and 45 minutes. We barely stopped for breaks since the bugs were ruthless. Neither DEET nor the organic stuff helped a bit. 'Twas a great hike, though, thanks to the stellar views and good company. I'm thrilled to introduce my first guest blogger, Marcy Light. Marcy's the dynamic lady behind (Don't Be) Too Timid and Squeamish, the down-to-earth, inspirational blog that encourages people to challenge their personal limits. I've been a follower of Marcy's blog for over a year, and it's a pleasure to host her writing on Trish, Alex, and Sage. In the paragraphs below, Marcy writes about her family's adventurous visit to the remote and craggy Skellig Michael. For years, my husband and I have used a little trick whenever we’ve faced a challenging situation with our boys. We’re not miserable, we tell them. We’re on an adventure. This technique was especially useful when we put them through an exhaustive climb up steep steps to the top of Skellig Michael, a small island an hour’s boat ride off Ireland’s coast. Our boys, ages 8 and 9, were good travelers. They hardly ever complained and were interested in pretty much everything, but we knew waking them in the wee hours to coax their tired bodies up the many steps to see some ancient ruins would be pushing it. We showed them the short description in the guidebook:“ It will be an adventure!” Just getting there was an adventure in itself. We drove our rental car through narrow, winding village streets, pointing south. Although we had allotted four hours, what we thought was time to spare, the slow journey from County Clare to Portmagee made us late. We just missed the one ferry of the day to Skellig Michael. Overcoming our shyness, we approached some gruff fishermen loading equipment onto their boat at the pier. Yes, they could take us out. So there we were bumping along on the rough waves heading out into the open sea. I hugged the edge of the small boat, cold and wary in a steady drizzle; the boys were thrilled, though, and bounced along with the swells. Soon enough, we approached Skellig Michael. It rose up out of the grim, grey sea like a craggy beast shrouded in fog, with puffins and seabirds dotting its cliffs. As we started our climb up a winding path of 800 roughly hewn stone slabs, I marveled at the early Irish Christian monks who had settled on this island in 588 AD seeking solitude and an ascetic lifestyle. They had certainly found it. We took breaks as the boys tired, reminding them that this was all part of being on an adventure. 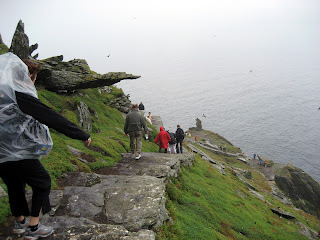 A thousand years before, Irish monks had brought a dairy cow up these same slippery steps. If she could do it, we could do it, I said. At the top, we visited an ancient monastery, beehive huts, and a small cemetery. The remoteness of this UNESCO World Heritage site helped to keep it well preserved. The way down was much easier. As we took one step at a time, my younger son held my hand and babbled a stream of consciousness story about a superhero fighting off one enemy after another, the cliffs and harrowing views becoming a part of his tale. 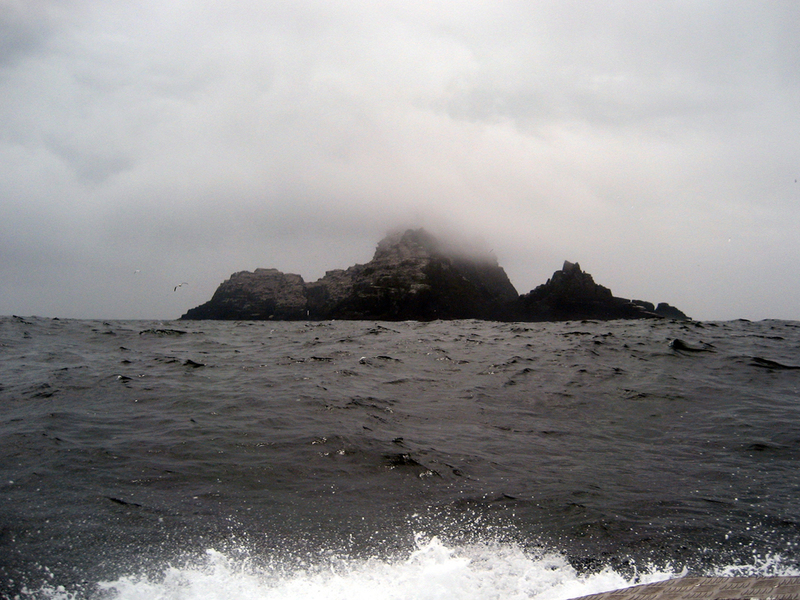 Back on the boat, we anchored next to the nearby smaller island, Little Skellig, its cliffs turned nearly white by thousands of nesting seabirds. A man with us fished its waters while we listened to the birds calling overhead. We returned to our cottage late that night and had a quick bite in the village pub. Warm and dry, the Guinness tasted especially good, and the boys slept well, ready for a new adventure in the morning. 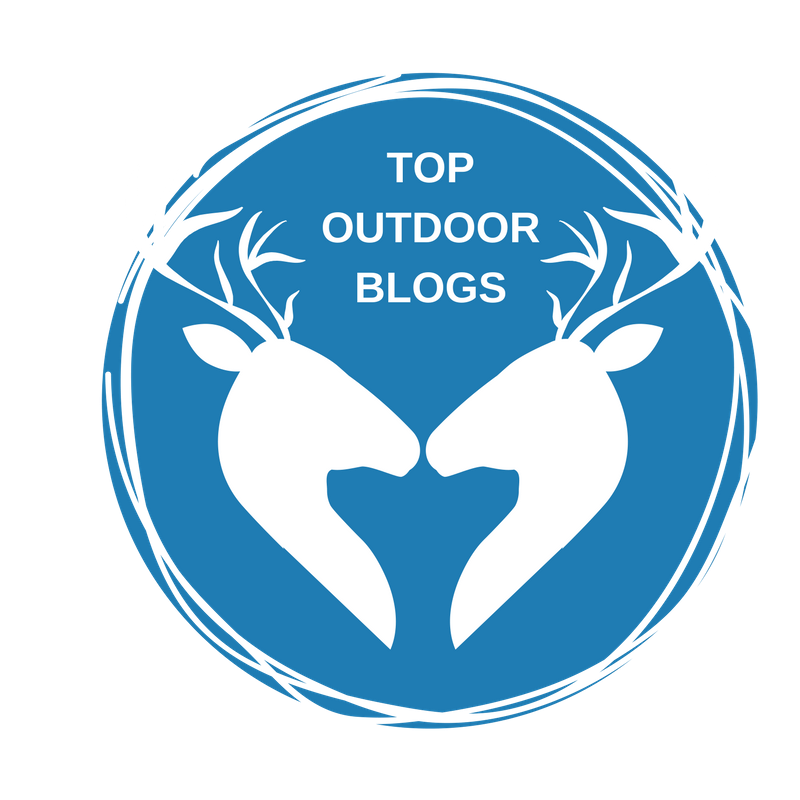 You can read more of Marcy Light's adventures in her blog, (Don't Be) Too Timid and Squeamish. Marcy is also the author of the recently published Timid No More: How I Broke Out of My Comfort Zone by Doing 101 Things and How You Can Break Out of Yours. Wow -- lots of you entered the ParaVival Paracord Bracelet giveaway yesterday! Thank you -- lesson learned, I'll announce future giveaways on Mondays and not on Fridays or Saturdays, lol. Glad you folks are interested -- the drawing will occur this coming Monday, June 24, at 9am. The forecast last Friday called for possible thunderstorms and rain, so we postponed our Terrifying 25 hike. Naturally, since we didn't do the hike we'd originally planned, the dark clouds never materialized...no matter, we enjoyed our quick up-and-down of Mt. Cube. Mt. Cube is on the 52 WAV list. It's a little mountain southwest of Moosilauke, and it's on the Appalachian Trail. The grade on Cross Rivendell Trail is easy-to-medium the whole two miles...we made it up in less than a hour. The day was gorgeous -- not too warm, not too cool...we sat up there for at least half an hour, enjoying the morning. The only unfortunate part of the day was a frustrating encounter we had with a man on the way down. A group of four people sat near the viewpoint not far from the summit (see above); when we came down, one of them (the fellow) asked the girls, "How far did you make it up today?" His tone was overly bright, cheerful, and condescending -- you know, the way some adults talk to three-year-olds. The girls silently looked at each other and kept going (which is their way of dealing with naysayers and people who underestimate them) while I stopped and replied, "Uh...we went to the summit...it's just over there." As I hurried to catch up with the girls, I heard the man laugh and say to his friends, "I was just trying to connect with them." His friends were laughing at the way the girls had obviously avoided speaking to them, and I got the impression they assumed the girls should have stopped and politely answered any and all of their questions. I had to resist the temptation to head back and give the group an earful. First, why would the fellow assume he should "connect" or become in any way familiar with two children he just met on the trail? Second, why did he ask a question that assumed the girls didn't make it to the top...and why did he talk to them as though they were toddlers? Third, why didn't he immediately apologize when he realized his blunder? Of course, he probably didn't realize his blunder. Folks, if you want to talk to kids you see on the trail, then take my advice. First, assume strength and not weakness. His question should have been, "How was the summit?" Or, even better (because it assumes nothing), "Enjoying your hike?" Second, talk to kids like you would an adult. Don't talk down to them. Ever. If you do, I guarantee you'll be the topic of negative conversation as soon as you're around the bend. As soon as we were past the group, the girls started talking about the man. I assured them this fellow probably had no idea how condescending he had been. I reminded them that there will always be people who underestimate them, and that the proper response is to simply carry on, exactly as they had done. We made it down to the car shortly afterward. It was, for the most part, a good day and a lovely hike. Come back this Thursday, June 20, for a guest post by Marcy Light of (Don't Be) Too Timid and Squeamish!